Magic MultiPairs is an Expert Advisor with ability of semi automated trading. 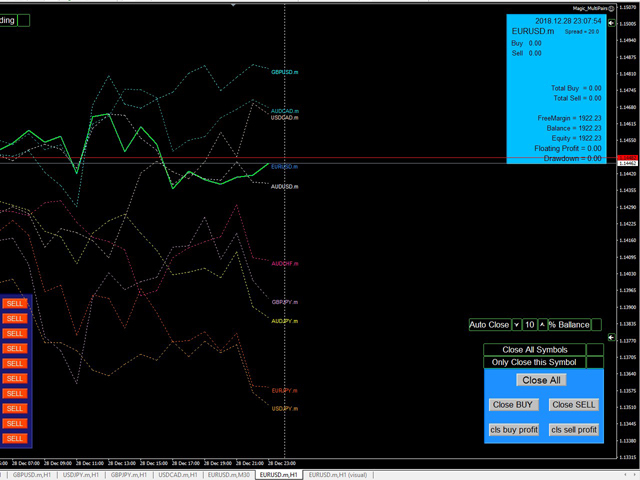 User can trade all of the symbols in the same chart. 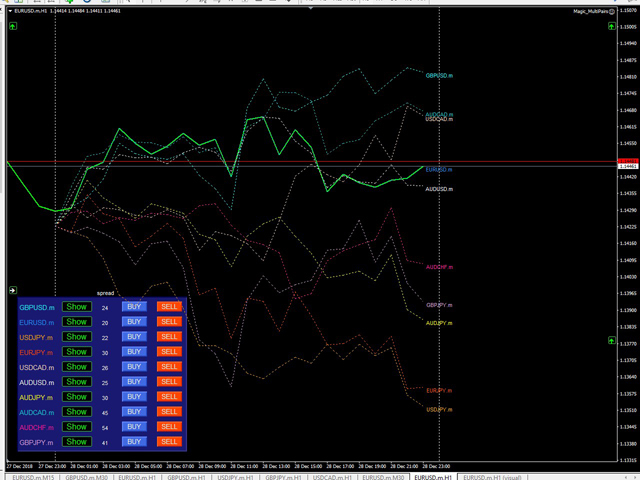 User can see the first 10 symbols of the market watch in one chart simultaneously. 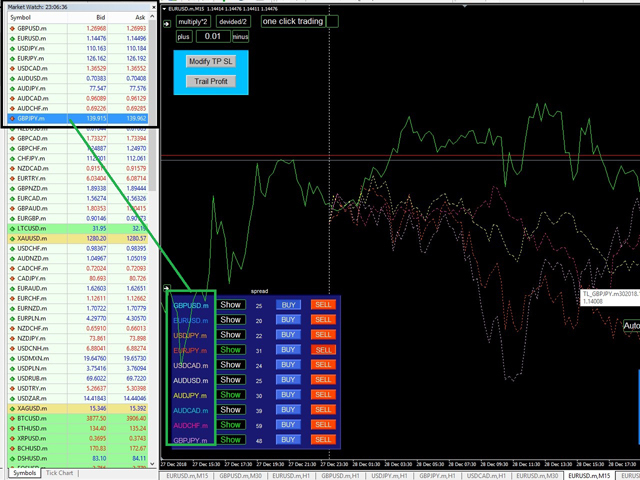 Also User can trade all of 10 symbols in the same chart. 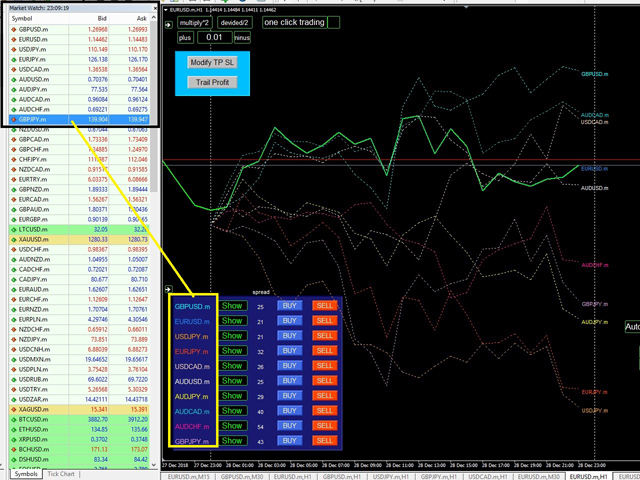 This EA shows information of the account like balance,equity,free margin, total buy and sell lot of open positions of current chart and all symbols. 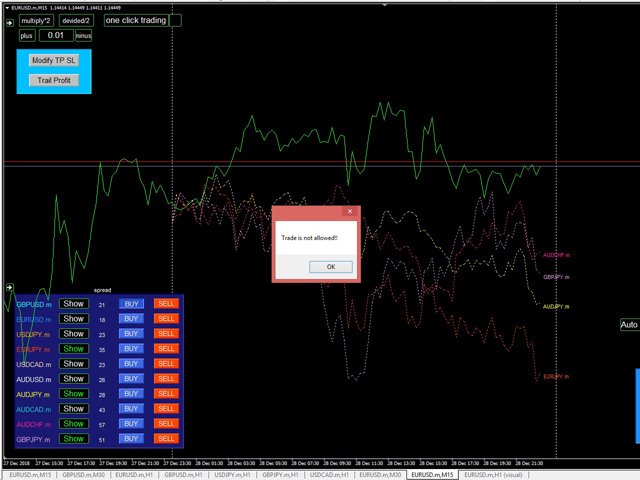 Also It shows floating profit and current draw down. 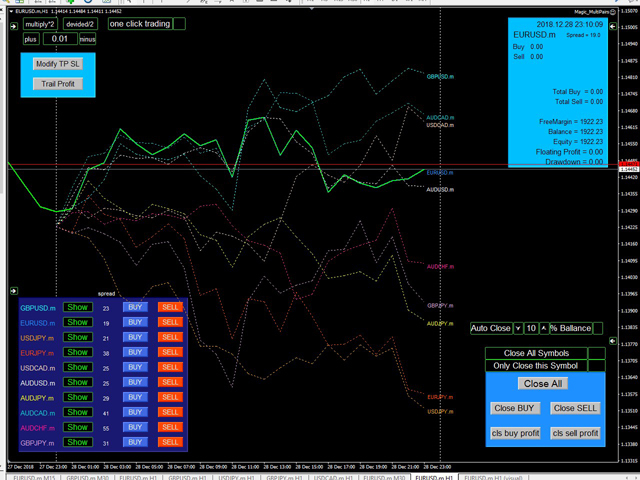 User have many options in order to close positions manually, close all positions of the current chart or close all positions of all symbols,close only profits,close only sell positions or buy positions of current symbol or all symbols. User can adjust Take Profit and Stop Loss of all position of all symbols by one click button. 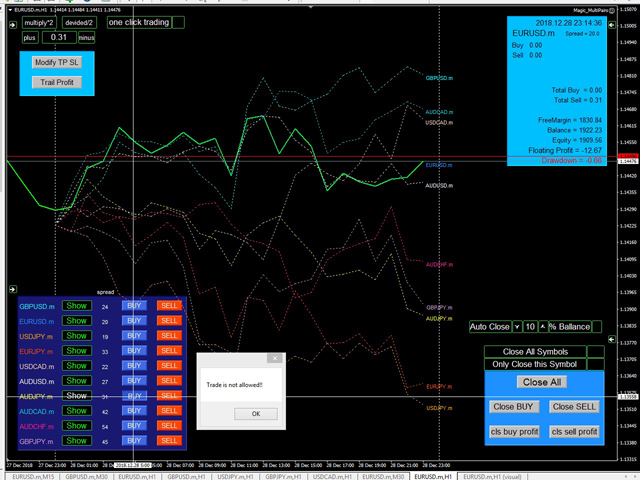 User can adjust trail profit in nearest break even in all symbols by one click button. 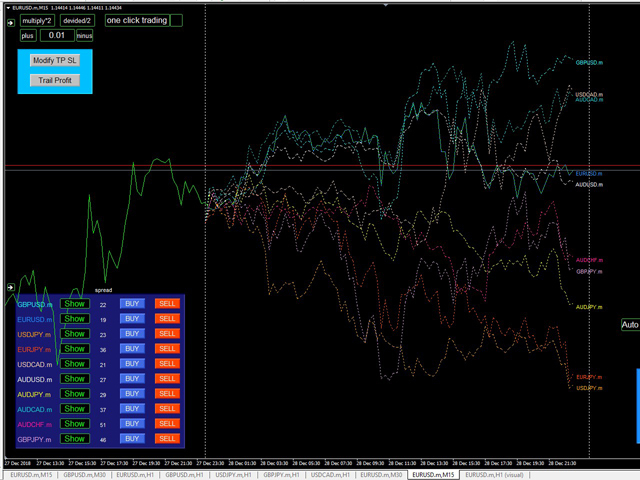 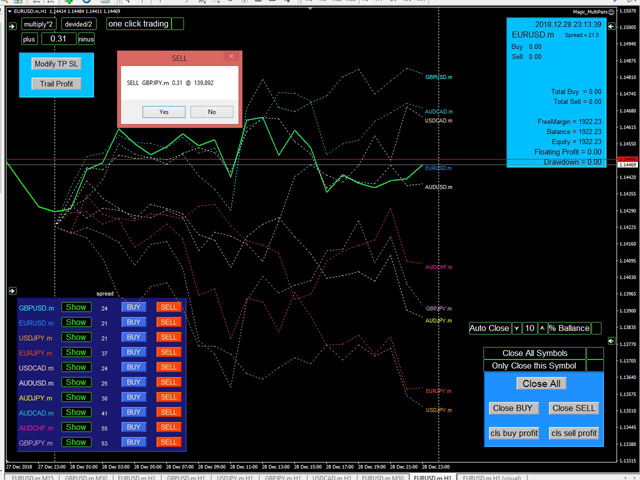 Also user can activate Auto Close option with x percent of balance in order to close all positions in favor. 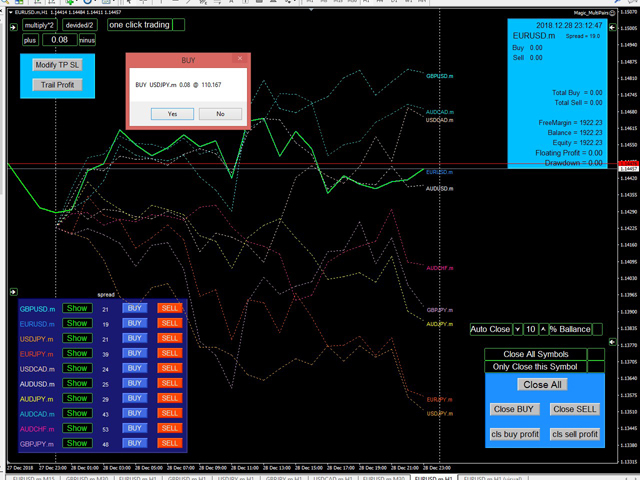 ChartEvent events are not handled in the Strategy Tester,so user can not click on the buttons.